If you or a loved one has been seriously injured on another person’s property, the property owner could be held liable for the injuries via a premises liability lawsuit. At the Teplinksy Law Group, we will make sure that you receive the representation that you deserve so that you can get the outcome that you desire. 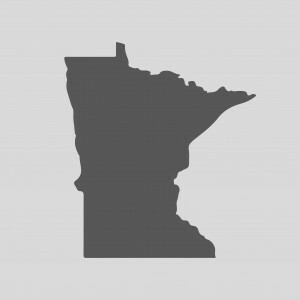 Even if the incident does not fall into one of these areas, our Minnesota personal injury lawyers will help you by reviewing your case and giving you the advice that you need to take the next steps. We will also argue for your rights in court. Property owners have a certain set of responsibilities, depending on their exact relationship to the person on their property. There are three categories that describe visitors on the property. The first is the invitee, which is the person who has been invited to be on the property for business reasons. This can include individuals shopping in a store and it is the responsibility of the property owner to maintain a high level of safety, warn about hazards, and take all necessary steps to protect those invited to be on the property. The second is the licensee, which is someone invited onto the property for personal or social reasons. The property owner may be responsible for injuries sustained by a licensee if they should have known or knew about the risks on the property and did nothing about it. The third class is the trespasser. The trespasser is someone who is on the property without permission. When you file a premises liability claim, do not be surprised if it is alleged that you were trespassing. However, you and your St. Paul personal injury lawyer can work together to show that you were invited. This can be done through witness statements and other information that may be available in the case. If you have been injured on someone else’s property and it was due to their negligence, you may be able to hold them liable for the injuries that you sustained. While you may hesitate to take action against the property owner, it is important that you do in order to keep you from having to pay the medical expenses, lost wages, and other expenses related to the injury. To learn more about what Teplinksy Law Group can do for you, call today at 612-465-0320 for a free consultation.